Here’s the thing. I’ve fallen and I can’t get up. Running almost daily for 6 years, I haven’t run regularly since June. I’ve tried to get back on course, but I have failed. I need a BIG CRAZY goal. This is my last ditch effort to get it together. 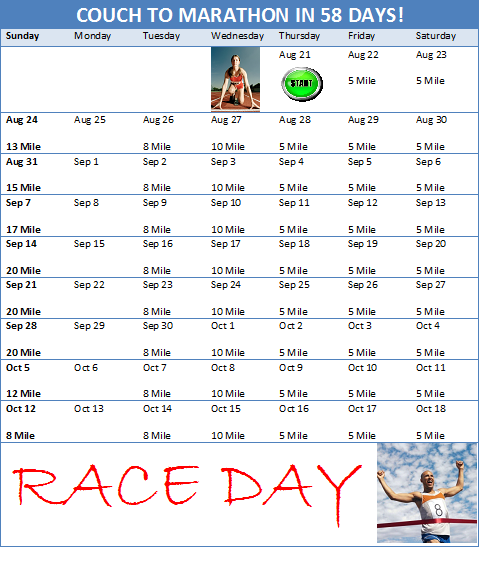 October 19th is the Detroit Marathon and I am committing today to do it. careful, but I am always alert (just ask my son who thought he’d get away with charging $212 on my Visa card). Last Christmas I was the victim of identity theft. A clerk at a cell phone store took my information and went to an Apple Store and basically took over my wireless account. Lesson learned – set up your own phone at home. Do not let the clerk do it for you in the store. Going through that process I learned, what I thought at the time, was more than I needed to know about fraud, and specifically about phishing. Until today, when someone thought I would buy in to their scam. What is phishing? Phishing is an attempt to obtain information from you by disguising an email to look like a site you trust. Trust me, they look real. There are logos, and links, and terms used that make it look legit, but if you look closer you can catch some details. What to look for? Is the email addressed to your first and last name? Companies you do business with will only address it to you. Not your email address, not Dear Customer, or VIP. Does the email ask you to click here and enter your password? No legitimate company you do business with will ask you for your password via email. Also, look for poor grammar, frequently misspelled words, etc. The scammers may think they are smart, but many of them don’t use spell check. How do you protect yourself from phishing? NEVER click a link on an email. Instead, go to your web browser and type in the URL (www.——–.com) yourself. Here is how the second fraud occurrence I experienced played out. I hope that this helps you protect yourself someday. I have an item for sale on Craig’s List. I received an inquiry about the item which asked for my bottom price. The purchaser said they were interested and stated that they prefer to pay with PayPal. 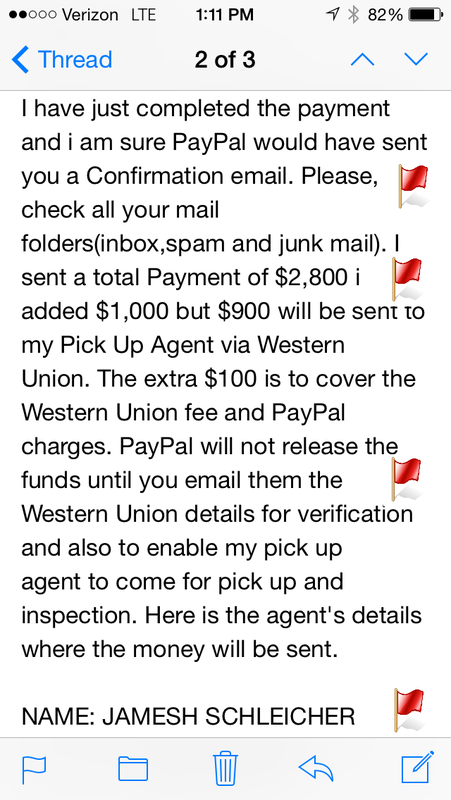 Then, I received this email (check out the red flags). No customer is going to coach the seller to look for a confirmation email – flag #1. No purchaser is going to send $1,000 more for asking price for delivery – flag #2. 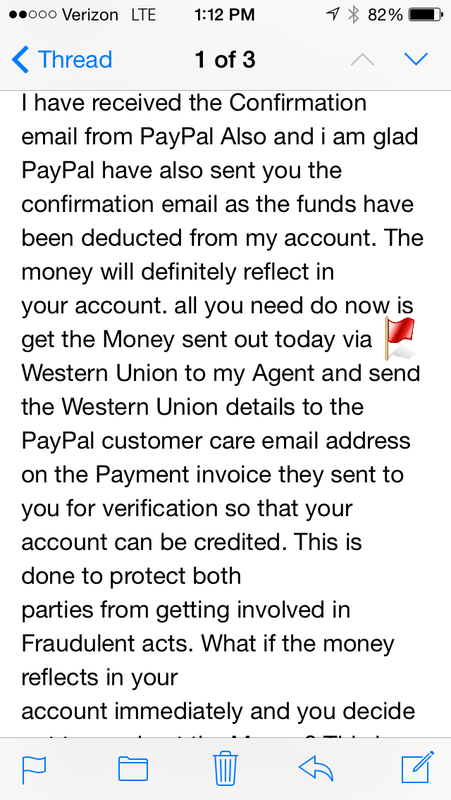 Paypal will not release the funds until you initiate a Western Union transaction – flag #3. The final flag is somewhat cut off, but people don’t use agents to purchase from Craig’s List and certainly not one from out of state. I did receive an email confirmation, and it does look like it’s from PayPal. The sender is service@paypal.com, it has their logo, and it has some official looking stuff at the bottom. 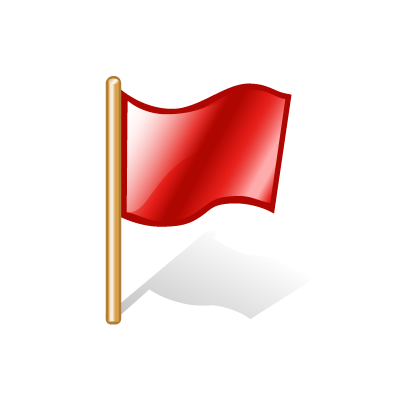 Still, there are 4 major red flags. 1) It is addressed to my email address. PayPal would address it to my first and last name. 2) It is itemized??? PayPal wouldn’t know what the transaction is. 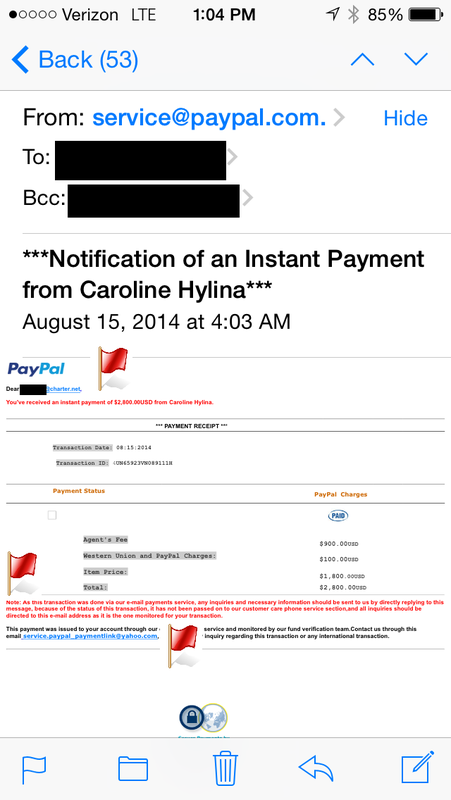 3) The red print states not to call PayPal because PayPal customer service has no record of the transaction. I am quite sure that PayPal is aware of all of their transactions. 4) It wants you to send replies to PayPal@yahoo.com email instead of @paypal.com. Businesses use their own domain name in their email not yahoo or gmail or hotmail. Of course I called out the purchaser, but they still think that they can fool me. Here is the second response. 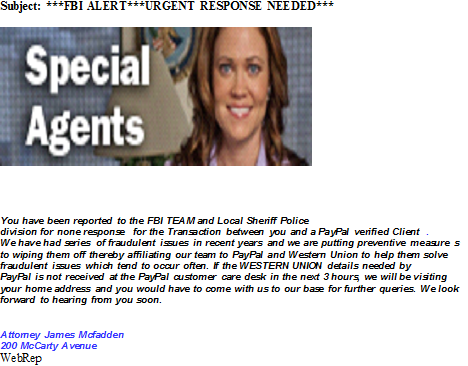 As you can see, they are still attempting to get me to Western Union them money. This is where the story goes from annoying to hilarious. Again, I called the bogus purchaser out for fraud and now they resort to threats. If I don’t send them money in the next 3 hours the FBI will visit my home address. Funny, they still don’t know my name. The sender is again service@paypal.com. Check out the grammar and misuse of capitalization in this message. Even the attorney’s last name is short a capital ‘F’. And what is none response? There was none, but I think they meant non-response. These crooks could be good, if only . . . . Note: PayPal has absolutely no involvement in any wrong doing. They have a very informative website to help protect yourself against fraud. They are very secure and I have done business with them for years. Craig’s List is also at no fault. They provide a great service to their clients. They unfortunately were used in this scam. news. I am sure, from the other end, they dread making those calls. I am not an expert. I have no medical training or education, but I have had front row experience from the bleacher seats. I hope that you and no one you know receives the dreaded call, but if they do I hope that these 5 tips help. 1) Find a doctor you trust and like. Everyone you talk to will know someone. They will recommend doctors, hospitals, advice. “This one is the best”, “I heard this one is the worst”. Unless they have had the same condition as you, stick with referrals from your physician. Keep looking until you find someone you like and trust. My husband really liked his doctor and I know that it has made a difference. Advertisements that have been running for weeks, months, years without you noticing will now stick out. It will seem like every time you get into the car or turn on the TV you hear an ad for cancer treatment. By all means, be curious and check things out if they sound good to you, but remember they are trying to sell you. Medicine is big business. The internet is an incredible tool and there is a lot of information out there. Unless you are searching credible medical sites, such as Mayo Clinic and Cancer.org, don’t use it for research. You may be reading false information or information that is sponsored by a drug or insurance company that is trying to sell you something. 4) Hope for the best, but plan for the worst. When researching your options always consider the worst case scenario when it comes to side effects and recovery. No one wants to fall into this category, but you must consider “is this the right option for me” when there is a chance that ‘x’ is a possibility. It’s too easy to hear what the best case recovery statistics are and stop listening. No one thinks that they will take the maximum time to rehabilitate, or that the risks apply to them, but you must consider them when choosing which treatment is best for you. Once you’ve had the treatment forget that there were other options. Focus on your rehabilitation and getting well. No regrets. No looking back. Rehab is frustrating. Don’t make it worse for yourself. I believe that attitude is everything including your health. Keep positive. Watch positive videos on YouTube, read positive books, call an optimistic friend. There are lots of resources, if it isn’t coming from within, to help keep a smile on your face. OK, admittedly I am very type A. The reason we have lived in our current home longer than I have lived anywhere else is mostly due to the overwhelming thoughts of listing our home. His booger collection was prominently displayed on the wall by his bed. She is brown and white like a cow, but behaves like a goat. She has eaten everything within reach. Getting our home ready – no problem. Keeping it ready – problem. Doesn’t he know who he is dealing with? That week I commented on a project my daughter and I were working on together. I must have been too critical. She bounced back quickly with, “apparently my 80% is different than your 80%”. Hmm. I must still not get this 80% thing. That’s when it hit me. It’s a choice. Just like they say “choose to be happy” I was now going to choose to be 80%. How? My new mantra . . . They will not appreciate how much you spend on light switch covers, blind hooks, toilet paper holders, shelf liner. Potential buyers want: a great floor plan, neutral decor, nice sized closets, updated features, new appliances, little maintenance. A clean home. If you want to move, but are stressing over listing your home. Adopt my mantra, “It’s not my house.” It will help keep your costs and labor down and your blood pressure too. If you or anyone you know wants a beautiful home in Brighton, Michigan. A great town with awesome schools and apparently more liquor licenses per capita than any other city in Michigan except Grand Rapids. 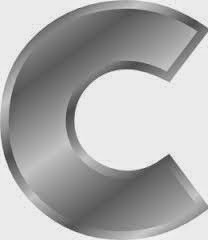 Check out this link . . . .